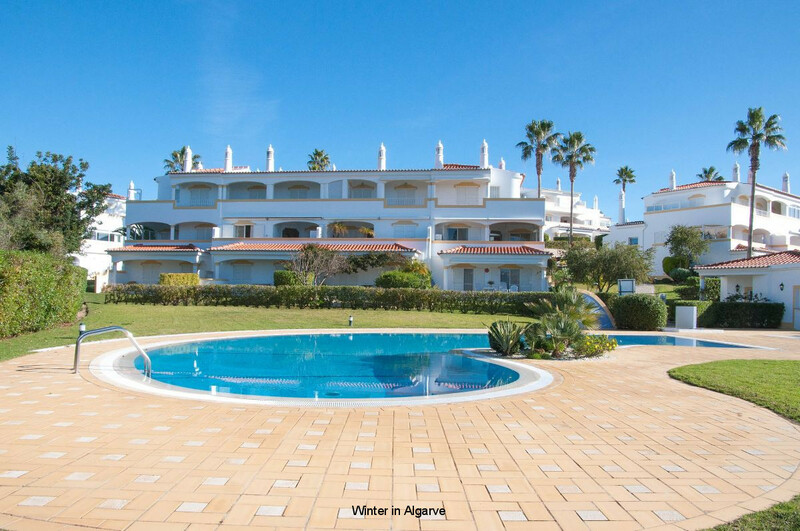 Cor do Mar is a luxurious apartment with view over the sea and the golf course. 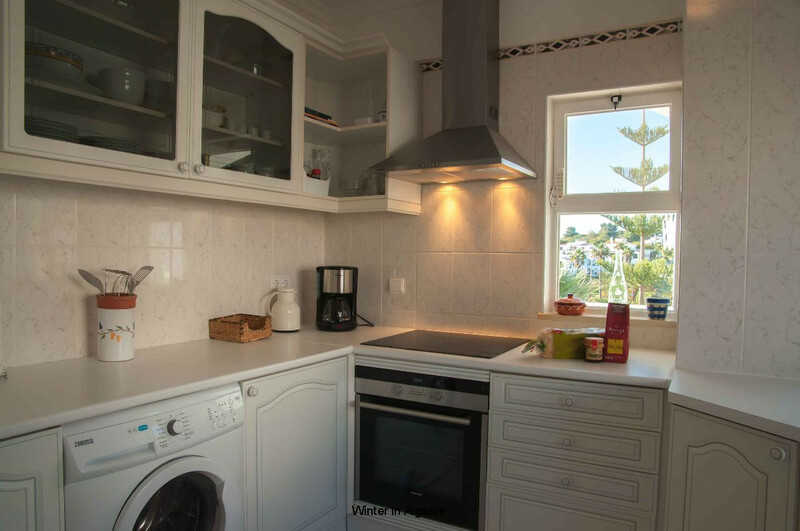 The apartment has all the necessary facilities and features air conditioning and WiFi. 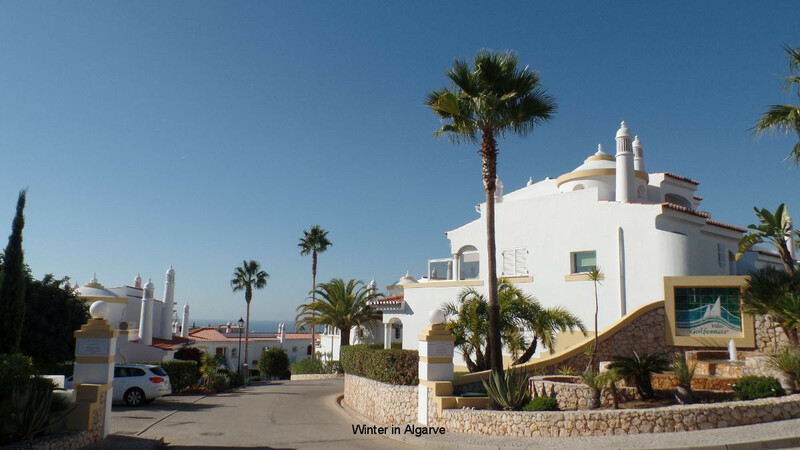 Cor do Mar is located on the golf course of Vale do Milho, Carvoeiro in the Algarve. 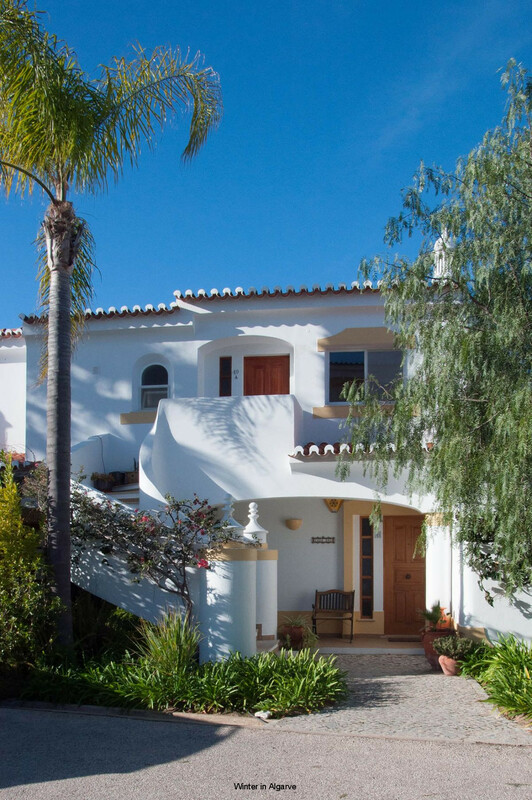 Ideal for a restful and relaxing stay within walking distance of the beach. 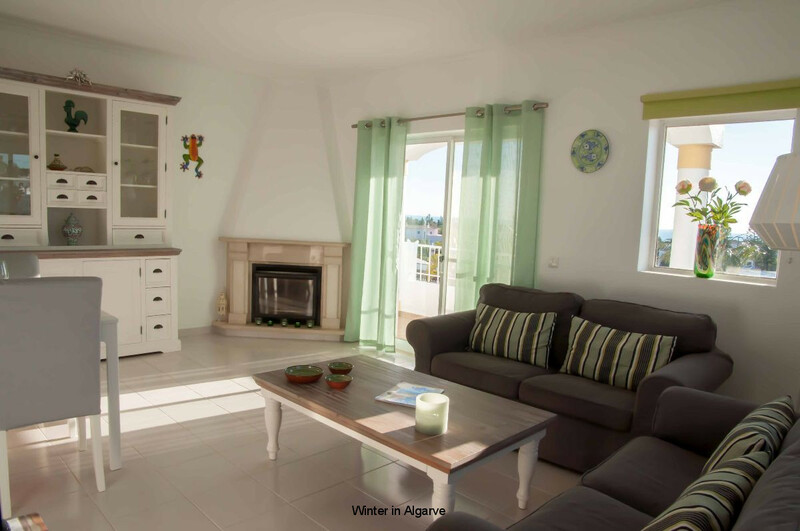 Spacious, cozy living room with modern furniture, air conditioning and satellite TV. 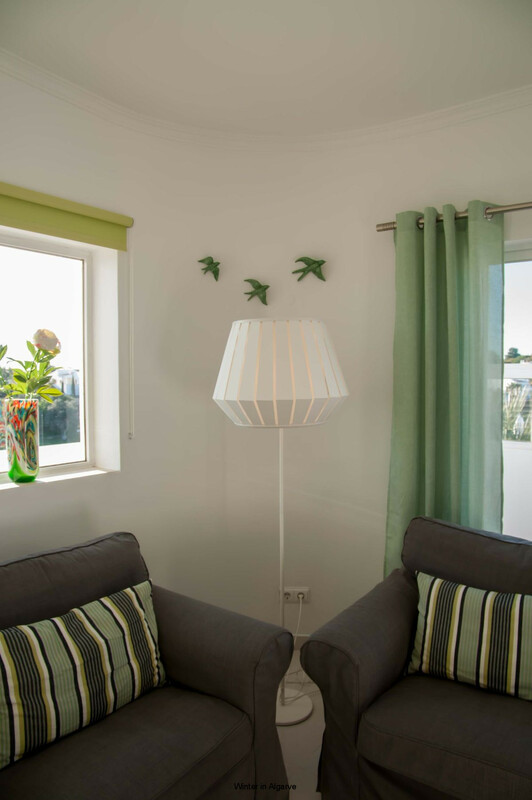 The living room gives direct access to the spacious sun terrace with garden table, chairs and seats. For cooler winter evenings there is a fireplace, air-conditioning and electric heating. 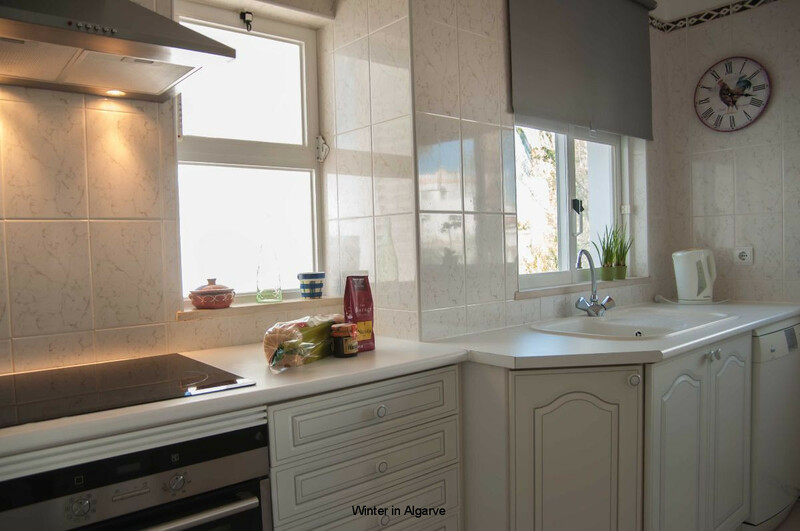 Modern equipped open kitchen with all necessary equipment. 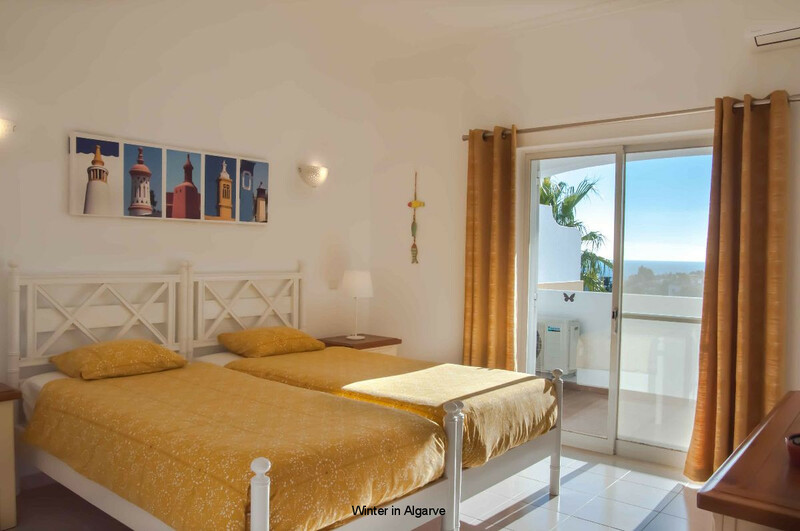 The apartment is located on the first floor with a large terrace surrounded by a tropical garden and with communal swimming pool for adults and children. 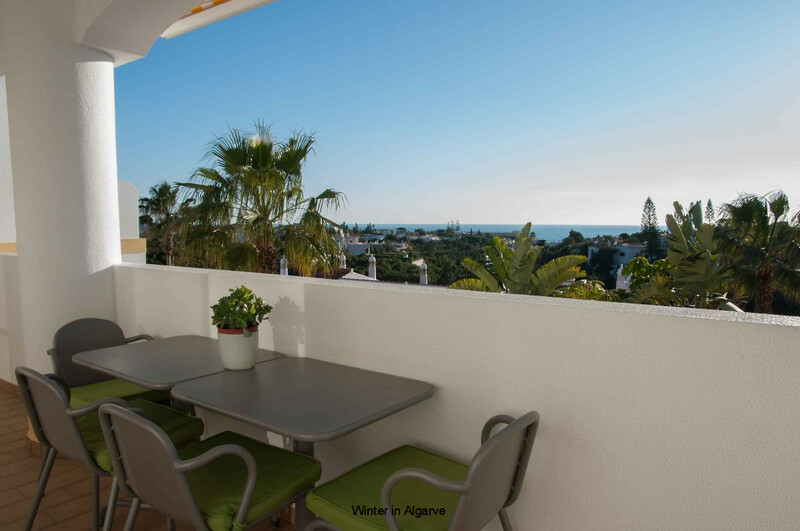 From the terrace you have a panoramic view of the ocean, garden and the Vale do Milho golf course. 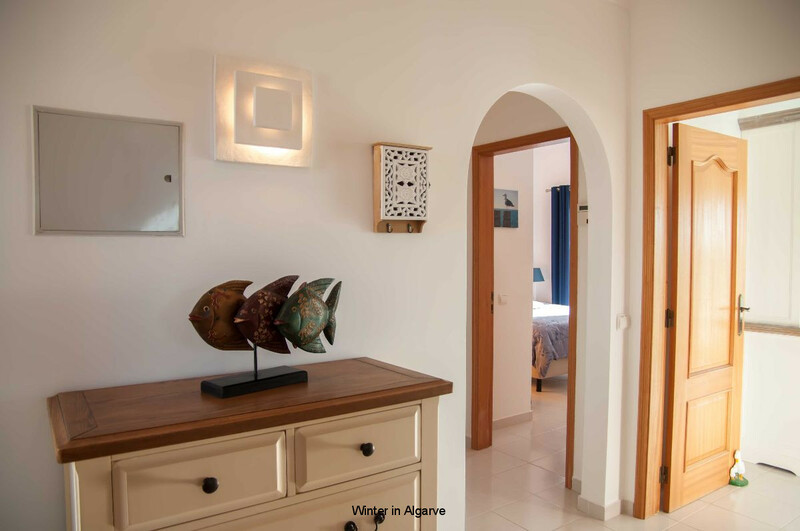 The apartment is adjacent to the golf course Vale do Milho, Carvoeiro. A very quiet and residential neighborhood. 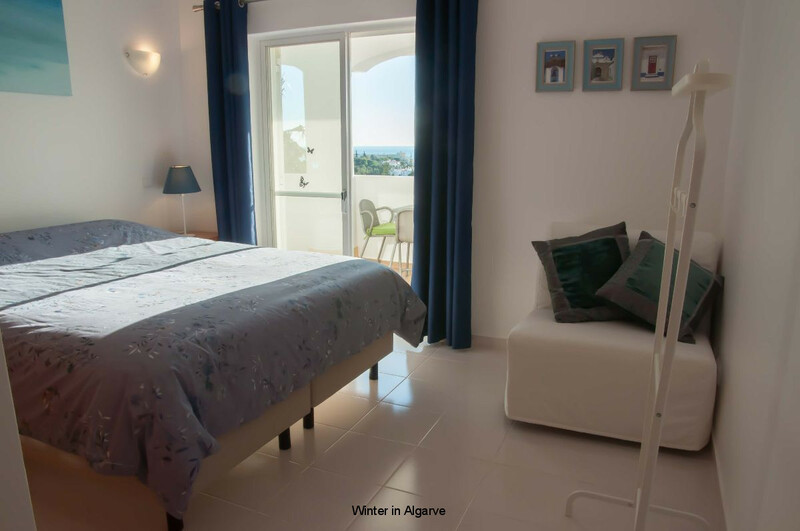 The Centre of Carvoeiro with beach, restaurants and shops is within walking distance from the apartment. We advice all our guests to a rental car. Click here for more info. 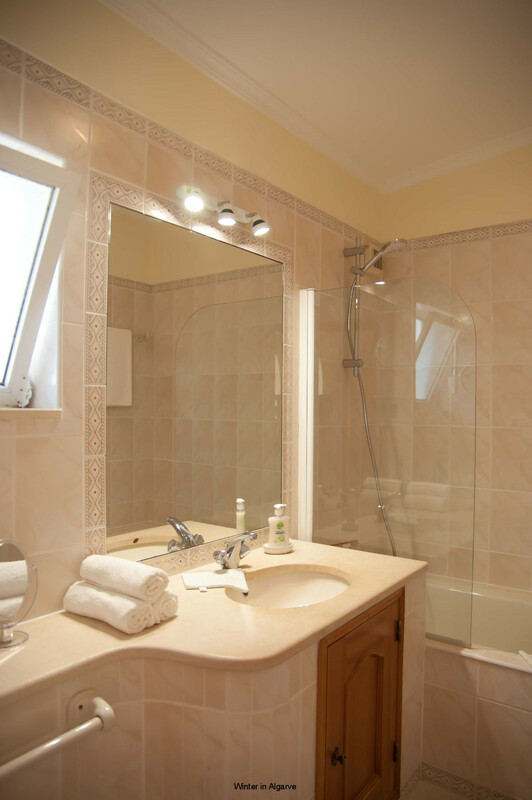 All these prices include VAT, electricity, water, Wi-Fi, towels and bed linen, welcome pack and final cleaning. Subject to changes. 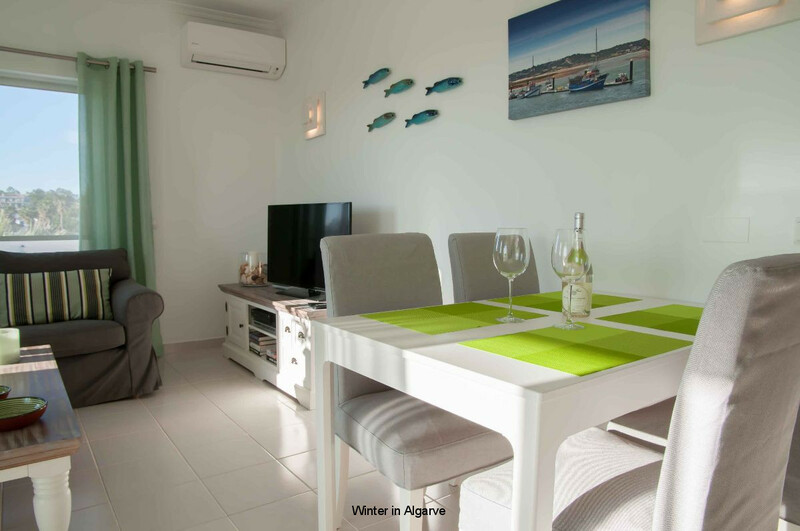 These conditions are valid from 1 November until 30 March and includes water, Wi-Fi and final cleaning, Excl. 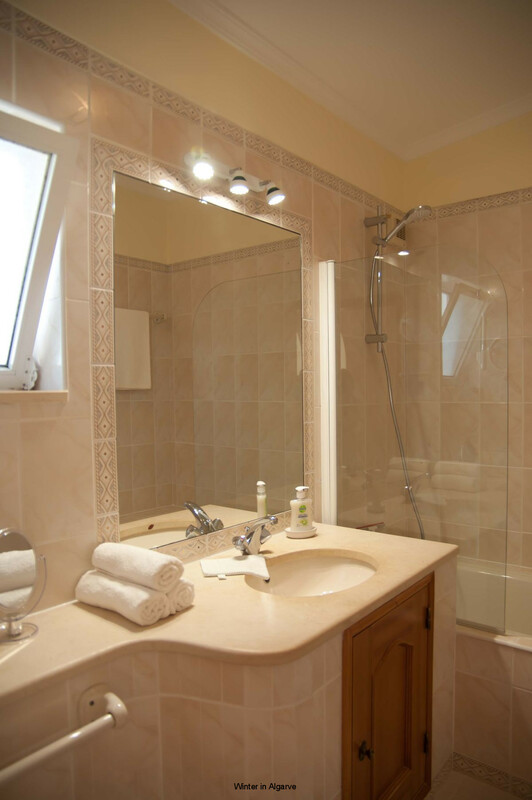 electricity and exchange of towels and bed linen. You pay 20% of the total rental amount as deposit. This deposit must be made immediately upon booking. The remaining amount you pay at the latest 4 weeks before arrival. 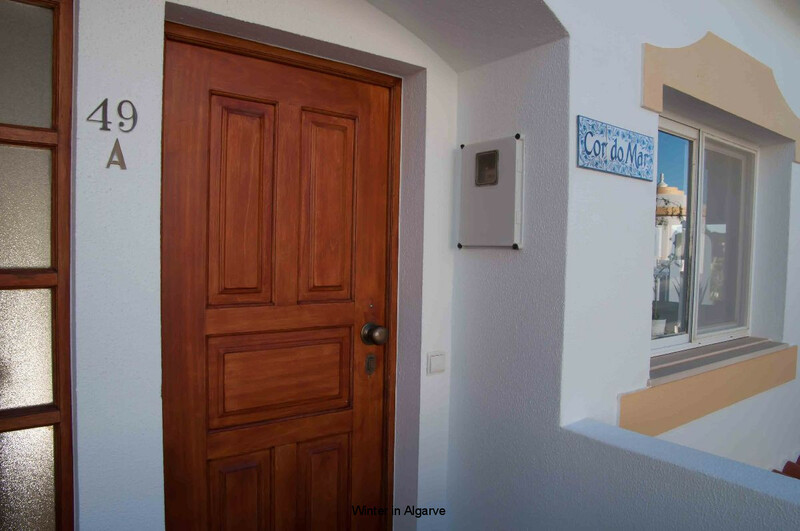 Per stay we ask a guarantee of €250,- transfered to us before arrival. This total guarantee will be refunded after the final cleaning has taken place, deducting any compensation if necessary. If the apartment is used by more people than originally specified you can be denied access. Pets are not aloud in this apartment.